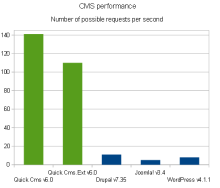 Learn the most important advantages of the Quick.Cms.Ext system! 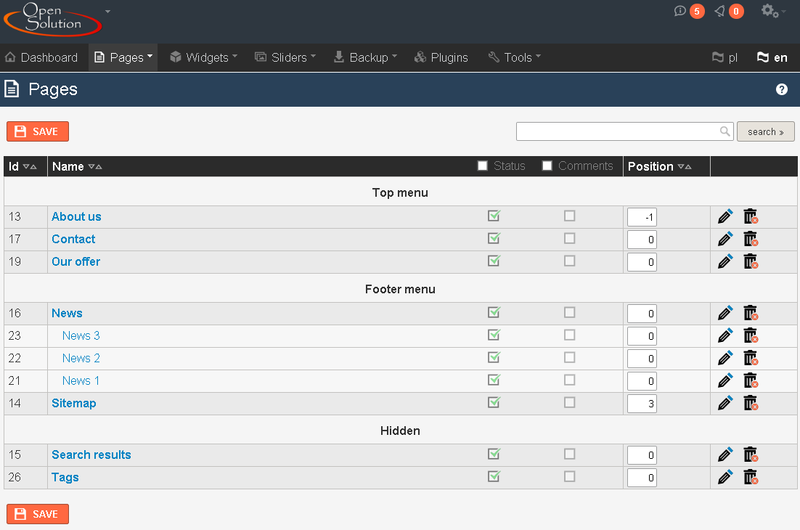 Users love our systems most of all for how easy it is to manage a website. For the less versed we've prepared a clear user's manual. 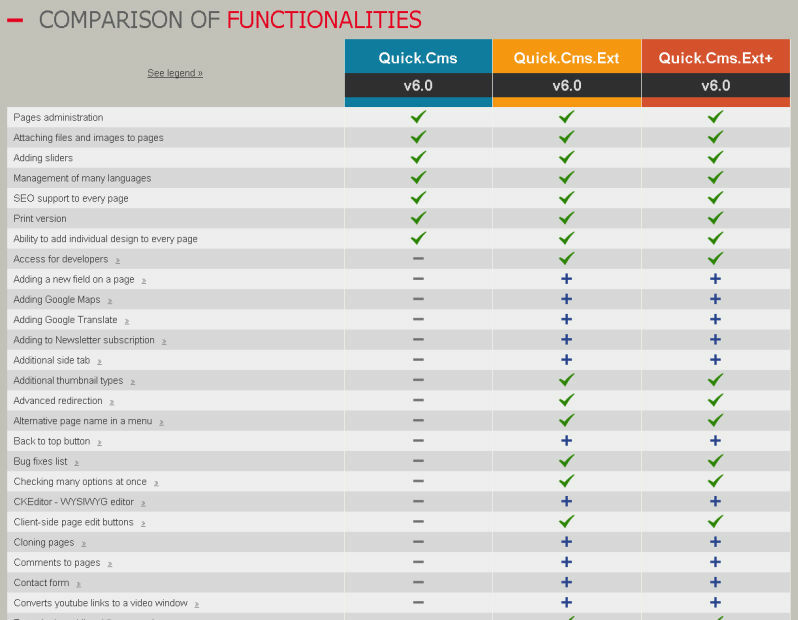 Websites created on Quick.Cms.Ext get high Google ranking. The system offers a set of functions, which contribute to this, including well prepared source code, friendly links mechanism, custom dynamical META descriptions, etc. 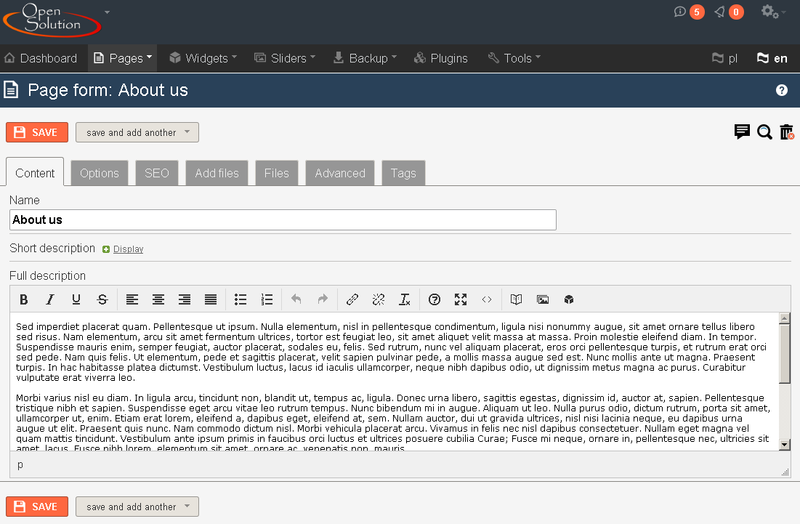 Quick.Cms.Ext offers many interesting features that will work on simple websites as well as on extensive ones. Contact form, Google map, Google Analytics statistics, Facebook, image galleries, blog and many other solutions! Our systems are unmatched when it comes to speed! This is very significant when your website is visited by users on a cell phone from places where cell coverage leaves much to be desired. Since 2014 we've notices increased number of migrations of websites based on competitors' systems, such as WordPress, Joomla!, to our systems. Quick.Cms.Ext with its plugins is definitely more secure because these were all written by us. This guarantees cohesion and stability. Quick.Cms.Ext has special securing mechanisms and a year warranty. 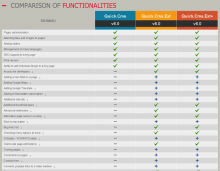 You don't get warranty with Wordpress or Joomla! No company that does the project for you on these systems can't give you a warranty for them. The systems' license prevents that. The system is developed by Polish programmers! Poland is famous for good programmers and programs written by them. Need proof? Over 32 000 websites runs on our systems. During one month about five hundred new websites come into being. At the moment there are thousands of implementations of our systems in: USA, Germany, France, India, Brazil, South Africa, Japan and Australia. 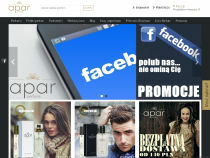 OpenSolution has existed for over 10 years and develops the most popular Polish CMS. 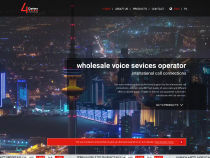 We are cooperating with many companies designing websites from all around the World. Our systems are very popular among webmasters. This allows you to choose from services offered by dozens of companies », not don't have to rely on just one!